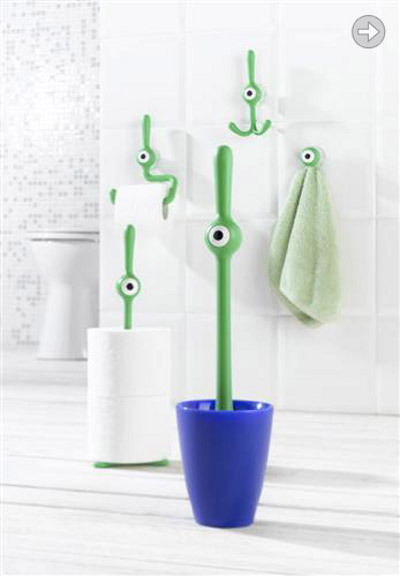 There are also many accessories for pets and plants, to the kitchen, bathroom and garden inspired by space creatures and objects. People who believe in aliens are mostly fascinated but also afraid of them. The home products you would find below do not reflect or cause any fear. They are all smart, remarkable and sometimes funny. Does it mean their designers don't believe in space creatures? Lets start with one of the most popular kitchen accessory from outer space. 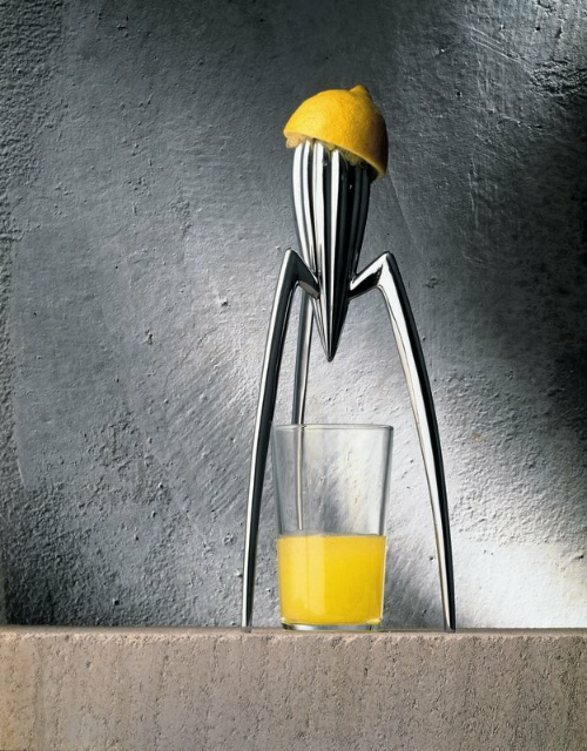 Juicy Salif Citrus squeezer by Philippe Starck for Alessi. Sketched in its essentials by Starck during his holiday in Italy, on a pizzeria napkin. Devised in the second half of the 1980's A truly iconic object and symbol not only of Philippe Starck but of Alessi itself and the inspiration for countless designers. 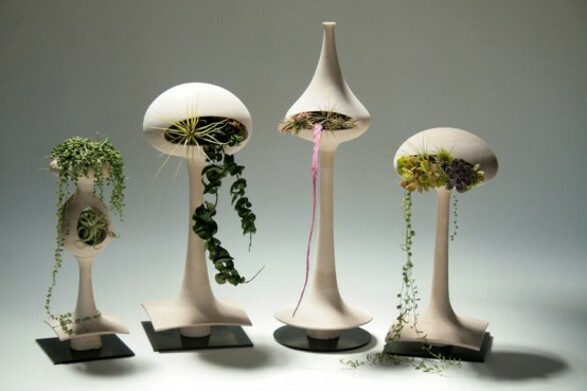 You can decorate your home with Golly pods which are unique crafted planters, made either of wood or ceramic. 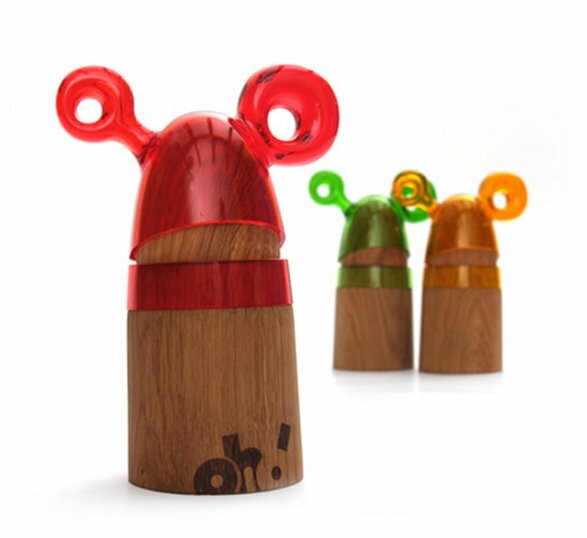 They are designed by Tend in collabration with Jason Lane of Bells & Whistles. 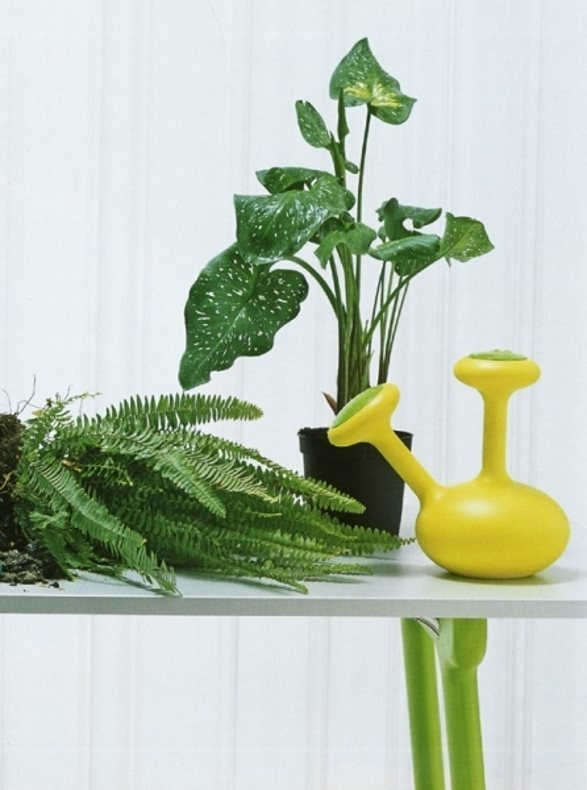 Then water your plants with Pipe Dreams by Jerszy Seymour; MAGIS. Now its time to carry you pet. 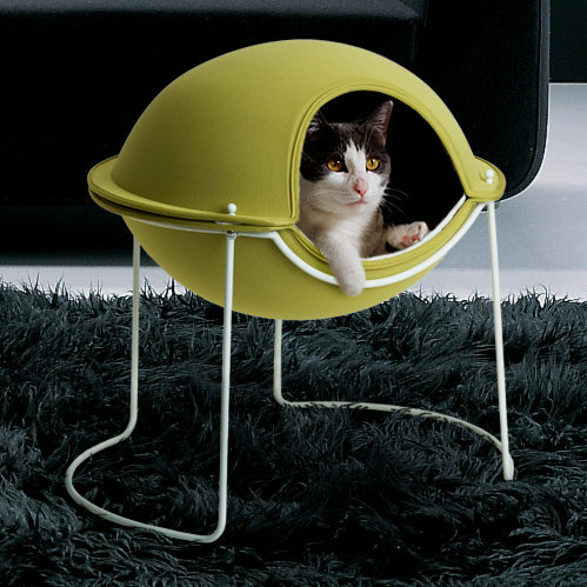 Your cat or small dog would love Hepper Pod Bed. The interior pad is made of sherpa fleece and microfiber and the construction - of flexible molded foam with fabric laminated. It provides protection from all sides and the raised platform offers a view and helps keep pets warm or cool as needed. The top is removable. Your pet can choose from three different colours options. 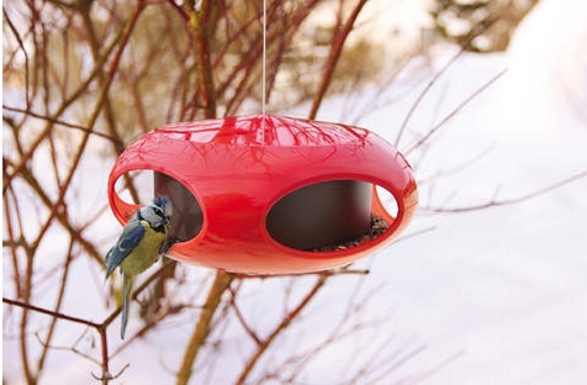 Invite some birds to your garden (and to the spaceship) with P:ip bird feeder by Koziol. It has a bright and glossy raspberry red exterior with a contrasting purple interior. An abundance of curved edges and flowing lines lend the body more organic feel, enabling it to blend with its natural surroundings. Five oval openings around the outside of the feeder provide perching points for birds, whilst preventing rain from dripping in. Interior design from outer space. Ligthing Interior design from outer space. All round the house.